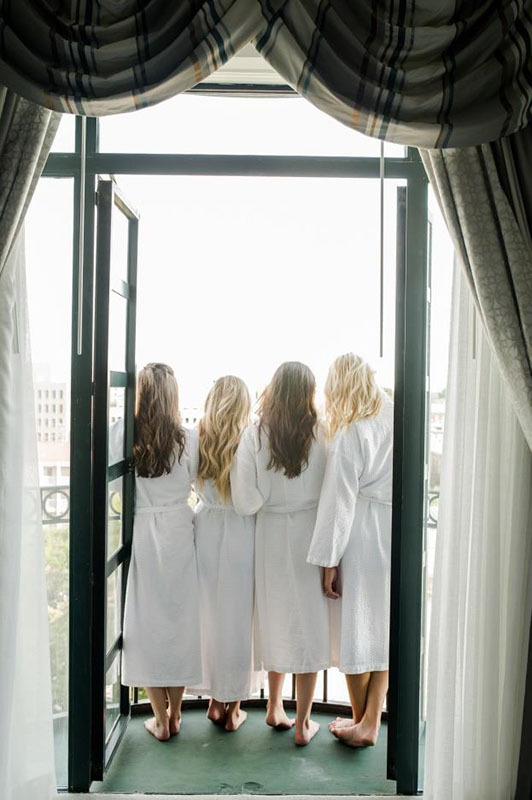 In honor of “Galentine’s Day”, Belmond Charleston Place, located in America’s favorite city, is offering a ‘Girls’ Getaway’ package to celebrate friends having fun this February. Girlfriends will be swept away by the warmth and charm of this historic hotel; where hours easily drift by sipping champagne, relaxing in luxurious accommodations, enjoying the rooftop spa and visiting the stunning new in-house salon. Exclusive to the 7th and 8th floors of the hotel, The Club Level offers numerous extras that are ideal for making the most of girl-time spent together, including complimentary continental breakfast, afternoon tea, evening hors d’oeuvres, after dinner cordials and desserts, and a full-beverage service ranging from tea to premium wine and spirits. February in Charleston brings mild winter weather and sunny skies. While exploring the picturesque city, Belmond Charleston Place is located just steps away from some of the best shopping, main attractions, and historic homes. Belmond Charleston Place has everything to offer—from 24 hour in-room dining to handcrafted cocktails in the cozy Thoroughbred Club, the options are endless. Whether you want to start your day with a lazy brunch at the Palmetto Cafe or relax next to the rooftop horizon-edge swimming pool, you can spend your day anyway you imagined. Consistently ranked among the best hotels in the world by the readers of Condé Nast Traveler magazine, Belmond Charleston Place evokes the feeling of a grand, 17th century residence, from its lush personal suites to the Italian marble lobby with its signature Georgian Open Arm staircase and 12-foot crystal chandelier. The staff of the hotel is dedicated to indulging its guests with the finest in Southern hospitality, and has become the choice of celebrities, princes and politicians. Guests can enjoy the hotel’s award-winning restaurants, full service spa and salon, and horizon-edge swimming pool with retractable glass roof. The hotel is centrally located in Charleston’s historic district, surrounded by antebellum architecture, and is within strolling distance of downtown’s many boutiques, galleries and restaurants. For more information, please visit https://www.belmond.com/charleston-place or call 1-888-635-2350. About Belmond Ltd. Belmond (belmond.com) is a global collection of exceptional hotel and luxury travel adventures in some of the world’s most inspiring and enriching destinations. Established almost 40 years ago with the acquisition of Belmond Hotel Cipriani in Venice, its unique and distinctive portfolio now embraces 49 hotel, rail and river cruise experiences, including one scheduled for a 2018 opening in London, in many of the world’s most celebrated destinations. From city landmarks to intimate resorts, the collection includes Belmond Grand Hotel Europe, St. Petersburg; Belmond Copacabana Palace, Rio de Janeiro; Belmond Maroma Resort & Spa, Riviera Maya; and Belmond El Encanto, Santa Barbara. Belmond also encompasses safaris, eight luxury tourist trains, including the Venice Simplon-Orient-Express, and three river cruises. Belmond also operates ‘21’ Club, one of New York’s most storied restaurants.